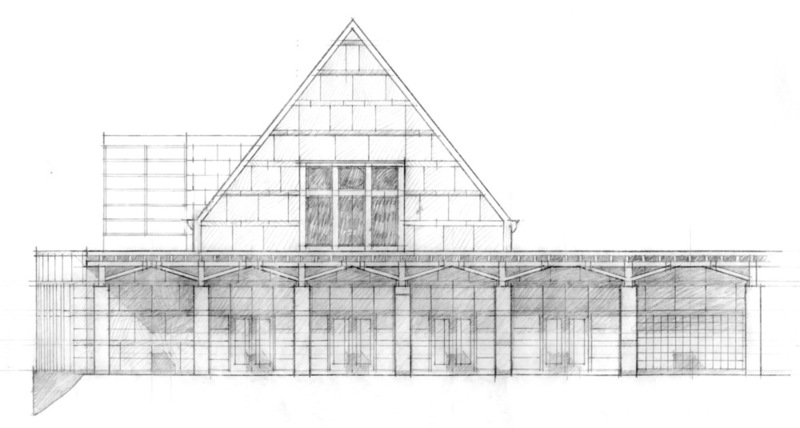 Founders’ Hall represents the social mission of Grace and Holy Trinity Cathedral by adding to its downtown Cathedral campus two gathering spaces—outdoor court and indoor hall. 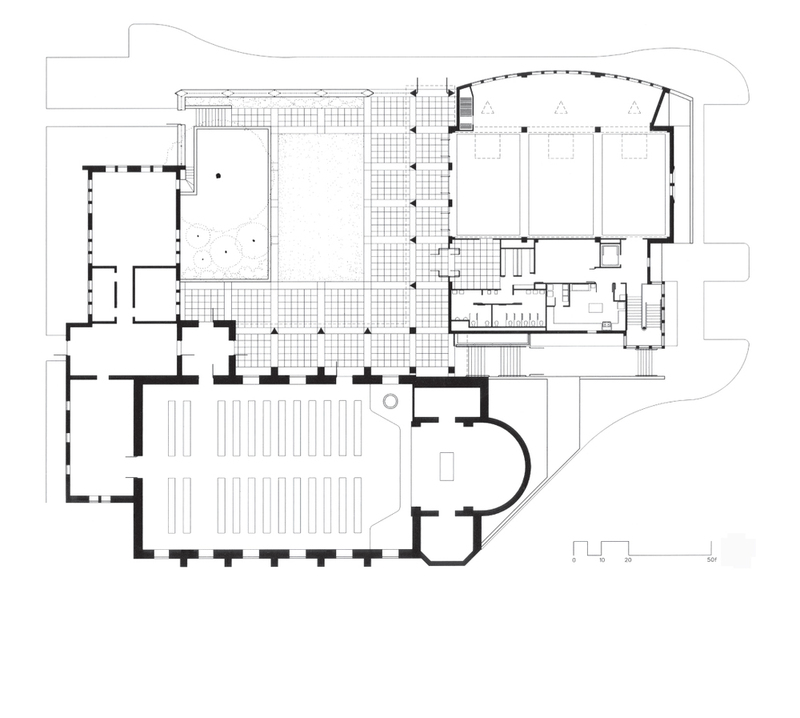 The colonnade courtyard unifies the campus as a shared entrance and processional enclosure. The social hall accommodates events ranging from chamber music and weddings to Sunday coffee. 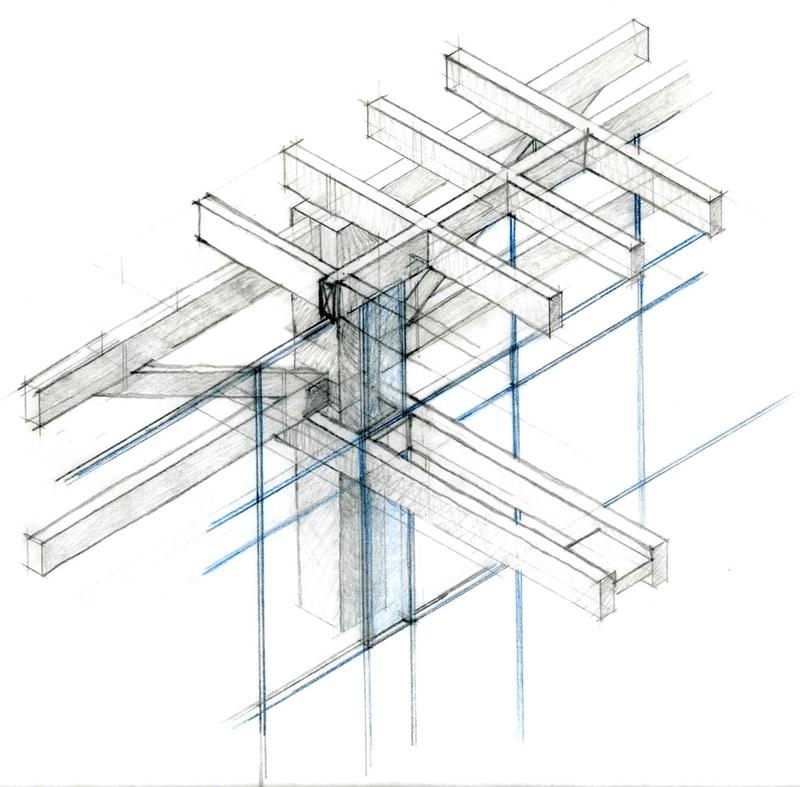 Architectural context is reinforced, building upon the order and character of the campus, by restating extant materials and forms. The red tile gable roof reinforces a campus scale pattern of steep-pitched forms, unifying disparate elements. Local limestone is again used, not stacked but, instead, detailed to indicate steel-frame construction. The architecture languages incorporates forms with triangles and triads, symbols representing trinity, an organizing concept for Episcopalians. The roof lanterns, beacons signifying the Cathedral’s interaction with Kansas City, communicate Cathedral activity at night. By day they flood northern light into Founders’ Hall, an extroverted space and counterpoint to the dim stained glass interior of the nave. 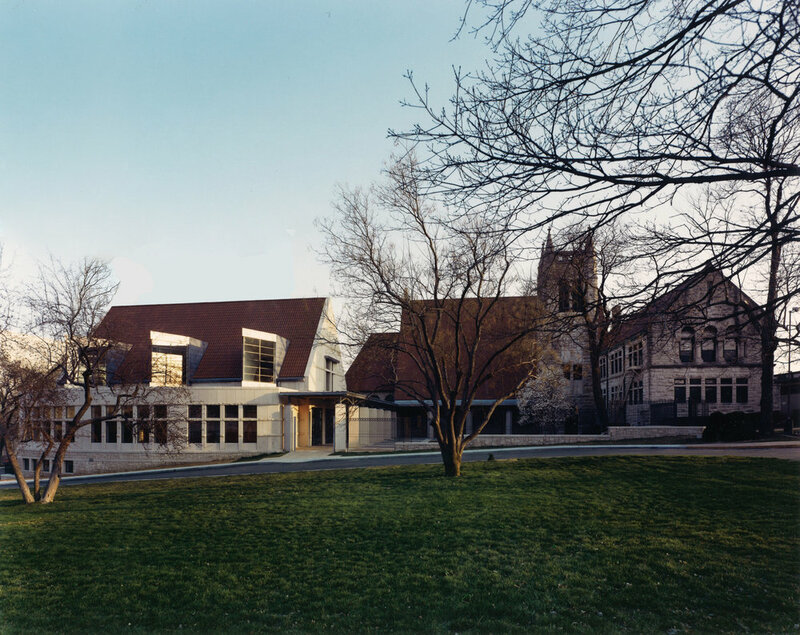 Designed with Patricia F. MacDougall of Taylor MacDougall Burns (predecessor firm) and Gould Evans Associates (architects of record).